Edwin Price Ramsey was born in Illinois, raised in Kansas, and graduated from the Oklahoma Military Academy. 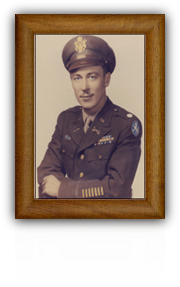 Commissioned a 2nd Lieutenant in the Cavalry Reserve in May of 1938, he entered active service in February of 1941 with the famous 11th Cavalry Regiment, at Campo, California. In June of 1941 he volunteered for service in the Philippines with the elite 26th Cavalry Regiment (Philippine Scouts). With Regular Army officers and Filipino soldiers, the regiment was considerably smaller than a normal stateside cavalry regiment. It consisted of six line troops in two squadrons, with a total of 54 officers and 784 enlisted men. In December 1941, when Japan attacked Pearl Harbor and then invaded the Philippines, the regiment was ordered north as part of the North Luzon Force to oppose the Japanese landings in Lingayen Gulf. Additional landings elsewhere forced the withdrawal of the outnumbered American and Filipino forces, whose retreat was covered by the 26th Cavalry into Bataan. 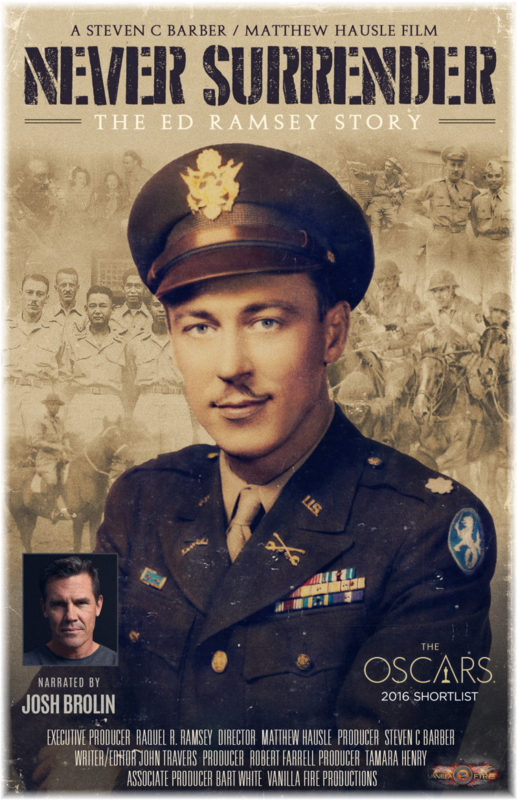 Leading a 27-man Platoon, as advance guard for the 1st Regular Division of the Philippine Army, on January 16th, 1942 at the village of Morong, Bataan, Lieutenant Ramsey encountered a Japanese infantry force in the village and immediately ordered a charge. 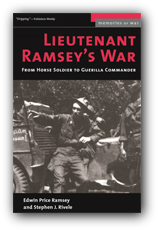 General Wainwright later awarded Ramsey the Silver star for gallantry in action for leading what became the last Horse Cavalry charge in U.S. history. Escaping after the surrender of Bataan, Lieutenant Ramsey formed the guerrilla forces in Central Luzon. Then came three years of agonizing guerrilla warfare, waged by courageous Americans and Filipinos on Luzon Island, fighting both the imperial Japanese Army and communist Huk guerrillas to prepare the way for the return of General Douglas MacArthur. Ramsey also sent critical intelligence information to General Douglas MacArthur in preparation for the liberation of the Philippines. After his return, General MacArthur personally awarded Ramsey the Distinguished Service Cross for his guerrilla activities.